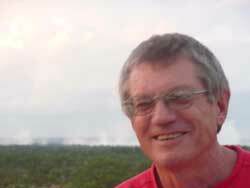 Gavin Best joined the Department of National Parks and Wildlife with the then Rhodesian government in 1978. He worked in a number of Parks whilst gaining vast amounts of experience in the conservation management field. Gavin’s career with National Parks concluded with him in the position as Warden of Sinamatella Camp in the Hwange National Park. Gavin married Shayelene Best in February 1988. He decided to join the White family business and left the National Parks towards the end of 1988. Gavin and Shay worked at Imbabala Safari Camp for the next 12 years (Gavin both managed and guided at Imbabala). In 2000 Gavin and Shay moved to the Elephant Camp on Woodlands Estate on the outskirts of Victoria Falls and took over the management of the operation. Since then, Gavin and Shay have been actively involved in caring for both the adult elephant involved in the Wild Horizons Elephant Back Safaris while at the same time caring for and hand rearing orphan elephant that find their way to the Wild Horizons Wildlife Sanctuary and Orphanage. The Victoria Falls Wildlife Trust was Gavin and Shay's dream and after their tragic passing away, we continue to do everything possible to make their objectives for the Trust a reality. 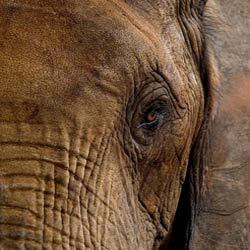 Born in Zimbabwe in 1963, Larry Norton grew up on a game farm in north-east Zimbabwe. He started drawing as a boy and in 1988 began a professional career. Since then he has exhibited around the world including several successful exhibitions in New York and London. Larry Norton works in oils, water colour, charcoal and pencil and specializes in African subjects, including wildlife, landscape and people of the continent. He works from his home studio in Victoria Falls, Zimbabwe, and travels extensively on field trips all over the world to gather material for future paintings. Paul Connolly is a Zimbabwean to his core. He was born and raised in Zimbabwe and as a child he knew he wanted to live his life on the Zambezi River and in the African bush. After completing a law degree at university, he joined the prestigious law firm of Atherstone & Cook, where he became a partner. After making the decision to resign from the law, he continued to pursue his passion of canoeing. 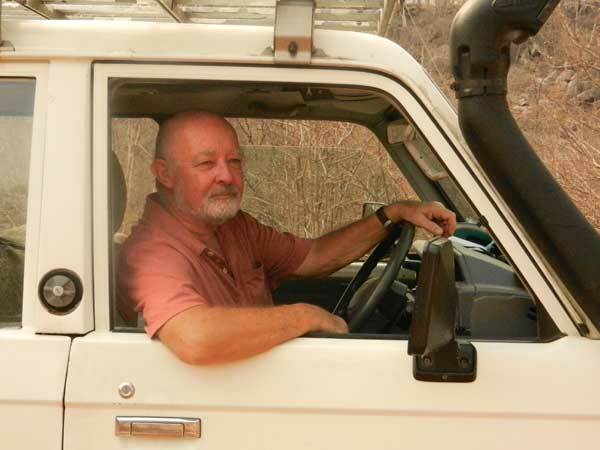 In 1985, Paul moved permanently to Victoria Falls and became very active in working together with the Department of National Parks and Wildlife and setting the rules and guidelines for companies involved in rafting, canoeing and kayaking. In addition to his work in tourism, Paul also started Victoria Falls Primary School so that he wouldn't have to send his children away for schooling at such a young age. These days Paul can be found still canoeing the Zambezi commercially, as well as taking his once a year journey to a remote river in Africa. In his free time, we are pleased to have Paul as a trustee where he is making a difference in the welfare of animals and forests which he feels is a good cause as it helps combat global warming. The trust will be able to preserve species for future generations. Paul believes that the Wild Horizons Trust is important as not only is it a humane and compassionate cause, but it protects things that can not protect themselves. So when his grandchildren are canoeing the Zambezi they will still have the privilege of seeing some truly magnificent wildlife. Barbara Murasiranwa is a local Zimbabwean that studied in Finance. She is a public chartered accountant, a public auditor and is currently studying for her Master’s Degree in Finance through the University of Gloucestershire, United Kingdom. As an active member of the Victoria Falls community, Barbara kindly volunteers her time with Rotary International where she was voted outstanding President of The Year Rotary International District 9210 – (2003 to 2004) and she received the Rotary International Paul Harris Fellow in 2004 Rotary International District 9210 as well as the Governor award for outstanding service to Rotary International District 9210. Barbara has been involved in tourism in the region and has been a manager and director with tourism companies for more than 16 years. She now owns her own tourism company, Vimbiso Safaris and Tours. In addition to Rotary, Barbara kindly volunteers her time as a Board member with Victoria Falls Primary School, and the Zimbabwe Council for Tourism. She is Chairperson of Victoria Falls Women in Business and Counselor and advisor of the Zimbabwe Parents of the Handicapped Children Association of the Vic Falls Chapter. Paul Murray spent over 30 years, working for British Airways in a variety of jobs, involving advertising, promotional print, jounalism and corporate communications. Paul has always had a passion for animals and the natural world and is a hands on supporter of several UK based wildlife and marine charities. He has been visiting Zimbabwe on an almost annual basis since 1987 and has driven extensively throughout all the countries of southern Africa, many of these trips in the company of Gavin and Shay Best. Having left the airline he and his wife have settled in Durban and Victoria Falls and he is involved in a number of projects promoting tourism to Zimbabwe, including writing a guide book to the country. Ian has his roots firmly set on the African soil and is Zimbabwean born and raised. He started his career in the tourism industry in 1989. He has been involved in the management of wildlife areas on private concessions, as well as in communal lands under the CAMPFIRE* programme in Zimbabwe and the CBNRM* programme in Botswana. He has managed a safari company operating safaris in three different countries and has also lived in Botswana where he ran a concession in the well-known Okavango Delta region. 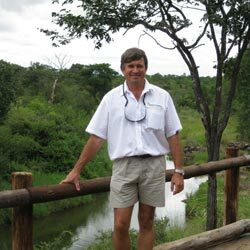 Whilst still involved in tourism, Ian is a local businessman in the retail market and is actively involved in contributing to the conservation of wildlife. *CAMPFIRE: Community Areas Management Programme for Indegenous Resources. 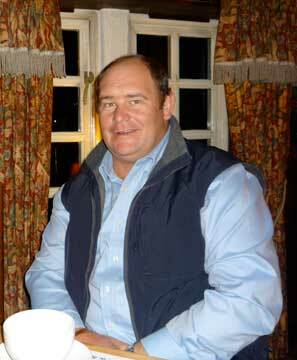 Bruno De Leo joins the trustees of the Victoria Falls Wildlife Trust as Managing Director. Bruno was brought up in Zambia and schooled in Johannesburg, South Africa. After completing his Business Management diploma, Bruno moved to Chobe, Botswana where he started game viewing activities. Bruno lived in Botswana for 8 years before moving to Victoria Falls. 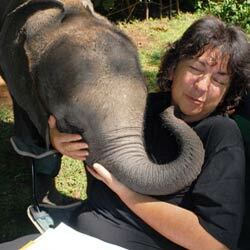 Bruno has a genuine passion for wildlife and the environment. 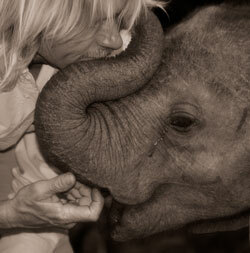 His unwavering commitment has made a reality of the Victoria Falls Wildlife Trust. Craig Ward White was born in Bulawayo, Zimbabwe in 1963. Craig first attended Baobab Primary School in Victoria Falls then went onto Gifford High in Bulawayo. After Gifford, Craig went to the Zimbabwe Polytechicon, to study Civil Engineering. He qualified as a Civil Engineering Technician, in 1982 and went to work with the Water Development department, designing & building dams in Zimbabwe’s rural areas. 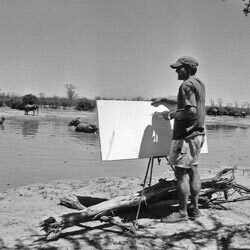 In 1983/4 Craig moved to Botswana to work for Gametrackers, in the Okavango Delta as a Safari Guide. In 1987 Craig moved back to Victoria Falls to start up Wild Horizons with his father, Ron White. He became a Professional Guide, and started overland safaris through Zimbabwe. In 1989 Craig together with Ron, built Imbabala Safari Camp in Kazungula, and opened to their first international Safari guests in 1990. After Imbabala, Craig built Jijima Safari Lodge in Hwange, on the border of Hwange National Park, and then he went on to build The Elephant Camp in Victoria Falls, where the first Elephant Back Safari started in Zimbabwe. Through the years, Craig worked as a Professional Guide, taking guests on safari through Zimbabwe, his favorite has always been to take guests on walks in the bush, approaching dangerous game (at a safe distance) but always giving the guest that little bit more..! In 2007/8 Craig, designed and built the Elephant Wallow, where the Wild Horizons elephants now live and work. Simon is a founding partner of Cinven, one of Europe's largest private equity firms, with offices in London, Paris, Frankfurt, Milan and Hong Kong. Prior to joining Cinven, Simon worked with an international consulting firm on multi-disciplinary engineering projects in the UK and Southern Africa. Simon lived in Zimbabwe for 2.5 years and whilst doing so observed the pressures and challenges that exist at the interface of wildlife and ever growing human populous. Simon has an MBA, a BSc in Engineering and is a chartered engineer. Leon Varley has been a fully qualified guide for 24 years and was among the first three guides to qualify in the post independence period. He was raised on a farm in North Eastern Zimbabwe and before starting Backpackers |Africa he worked as a Professional Hunter, Army Tracker, Miner, Prospector, Farmer, Journalist, Forestry Game Ranger and Tsetse Control Officer. It was whilst working in Chizarira National Park as a tsetse control officer in 1980 that he first formulated the idea of a walking safari operation. This area has always remained a favorite and to date he has personally led over 350 walking safaris. In 1986 Leon formed Backpackers Africa with his wife Mags and together they continue to host walking safaris throughout Zimbabwe. Dr Chris Foggin was born in Salisbury (now Harare), Zimbabwe, in 1947 and did his schooling in Zimbabwe. He completed his Batchelor of Veterinary Science degree at the Onderstepoort Veterinary Faculty, University of Pretoria, South Africa in 1970. After five years in private, mixed veterinary practice, he joined the Central Veterinary Laboratory, in the Ministry of Agriculture in 1976. He has remained in the Government Veterinary Services since then. For the following 13 years he was in charge of the Pathology and Rabies sections was awarded his D Phil in 1988 by the University of Zimbabwe, Faculty of Medicine, on the Epidemiology of Rabies and Rabies-related viruses in Zimbabwe. 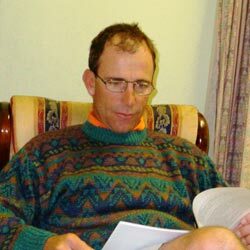 Roger comes to Wild Horizons with more than 15 years experience in the Wildlife Tourism industry. Additionally, he spent 10 years working for the Zimbabwe Department of National Parks and Wildlife where he ascended to the rank of Senior Warden of Chizarira National Park. Roger also did the occasional flying for National Parks. 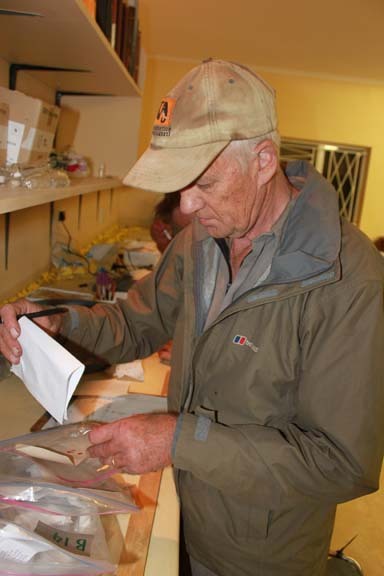 Roger’s qualifications include 15 years of darting and using chemical and physical capture of wildlife. 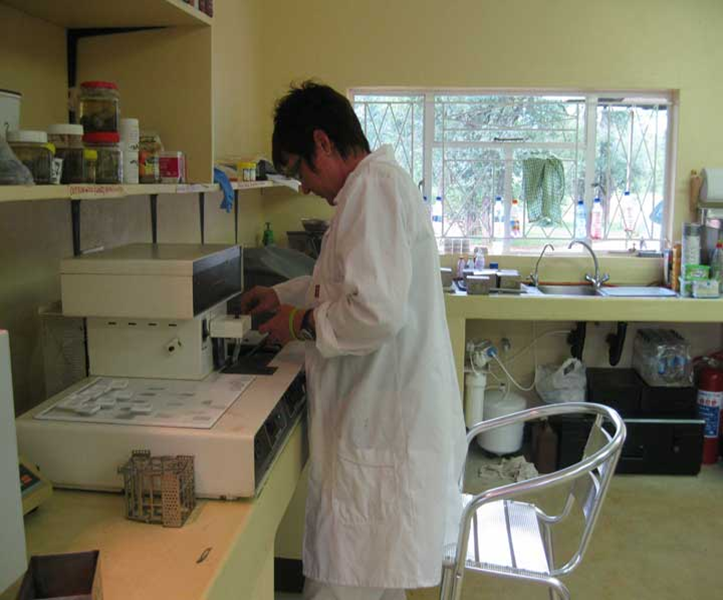 The Victoria Falls Wildlife Trust opened the Wildlife Laboratory and Clinic in 2010 and Roger oversees the running of this facility for rehabilitation and rescue of injured, abandoned and orphaned wildlife. 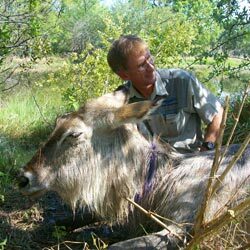 The Vic Falls Wildlife Trust works very closely with the Victoria Falls Anti-Poaching Unit - Roger does a lot of the darting of snared and injured animals in the region, as well as in Hwange National Park and the Lake Kariba area. 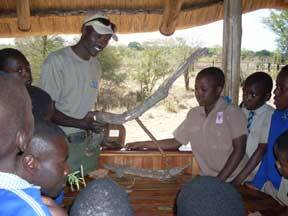 Bongani joined the Victoria Falls Wildlife Trust full time in 2010 to assist with working in the field. Bongani is from the Monde area near Victoria Falls, and is fluent in both Ndebele (the local language spoken in the Region) as well as English. Given Bongani's experience, he is able to run our school's conservation interaction, darting, and wildlife orphan care. Twelve years ago Bongani started off as a cattle herder, and over time due to his keen interest in wildlife and conservation, he improved his position. 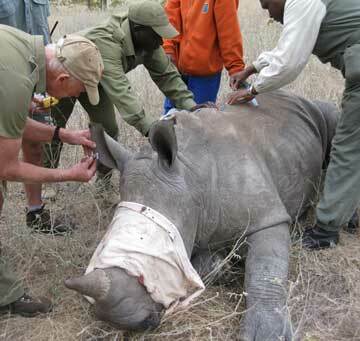 He now also helps with managing the anti-poaching unit, and deploying game scouts as needed. Bongani has extensive training in everything from telemetry (for tracking collared animals) to tracking wildlife in the bush. Bongani works on a range of projects but specifically assists with our Human-Wildlife Conflict project. He is a huge asset to the Vic Falls Wildlife Trust and we thank him for his help. VFWT are very lucky to have Trish's techincal abilities in the laboratory where she runs the histology and pathology functions as well as oversees basic opearting procedures to ensure quality control is monitored and measured. Trish comes to VFWT with more than 25 years of experience. At the tender age of nineteen Tonya Meikle together with a good friend rowed across lake Kariba on their own to raise funding to support an orphaned rhino. Over the years to come Tonya has always had a huge interest in wildlife and conservation. With a resume sporting jobs with A&K as well as Saf Par, Tonya worked in tourism for many years. 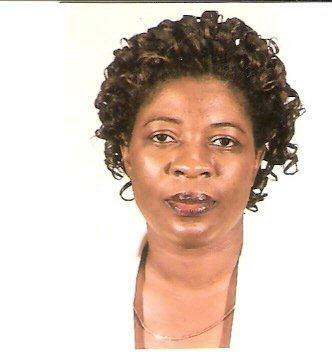 She then went on to start her own company and eventually moved with her husband Barry Meikle to Mozambique. After living for five years in Mozambique, Tonya and Barry decided to return to Zimbabwe, and moved back to Victoria Falls. 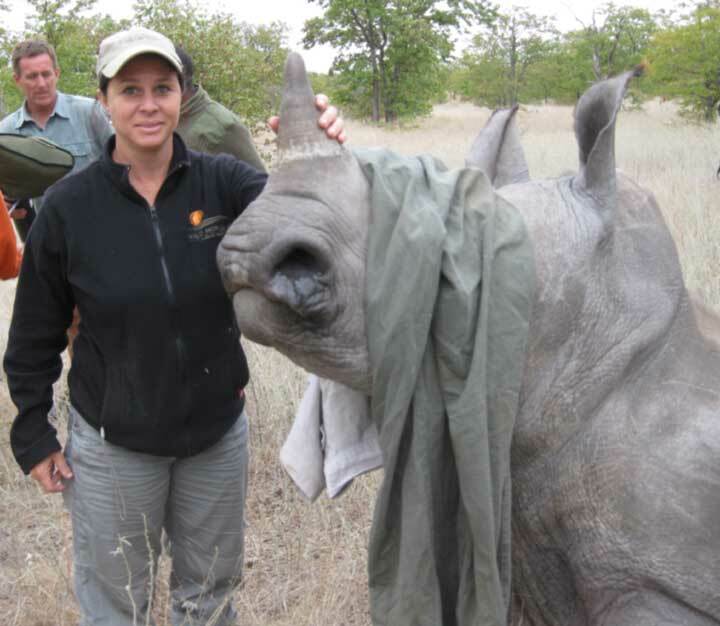 Today Tonya assists the Vic Falls Wildlife Trust on a regular basis and volunteers her time to help us when we are darting, collaring, raising orphans and doing disease sampling. Tonya also holds a dangerous drugs license which she puts to use working together with the Trust for de-snaring efforts and helping with any wildlife orphans we get in. The Trust thanks Tonya for all of her time and assistance.